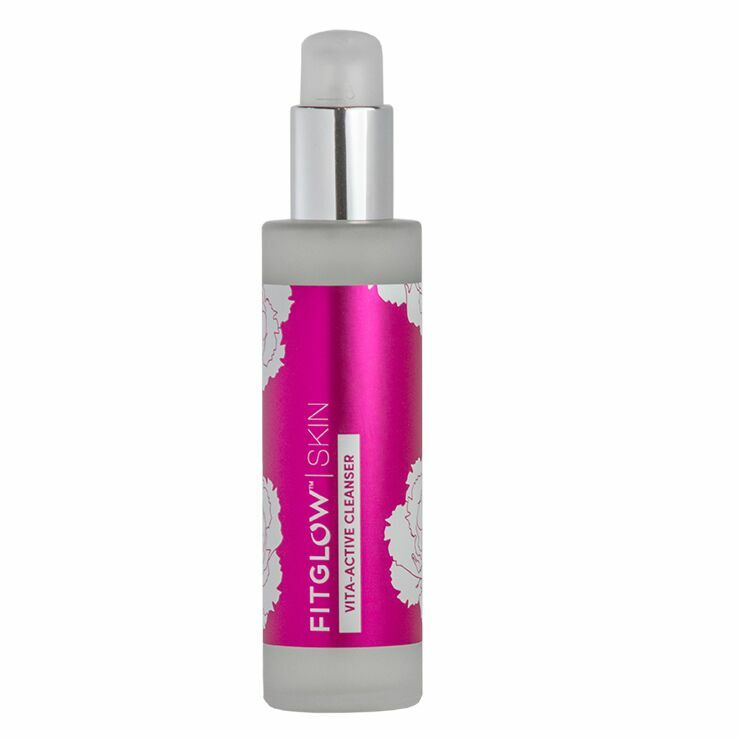 Cleanse the skin of makeup and impurities without causing feelings of dryness or irritation with Fitglow Beauty Vita Active Gel Cleanser. Made with Organic Calendula, Burdock Root, Rosemary, and Nettle Leaf for a clean, hydrated, and protected feel. The addition of Vitamin C makes skin look bright and healthy. This cleanser is designed for all skin types, and is mild enough for day and night time use. Massage the non-toxic makeup remover onto damp skin to cleanse away makeup, dirt, and debris, avoiding the eye area. Rinse with warm water.